Landscape A4 format, 34 pages and card cover, 3 pages of text, 15 full colour profiles plus complimentary decals and masks. With the current 70th anniversary of the BoB, this is a very handy publication and with the release of Airfix's Bf 110 C, there are now good kits of all aircraft. Model clubs all over the world are running theme builds to celebrate the 70th anniversary of the Battle of Britain. 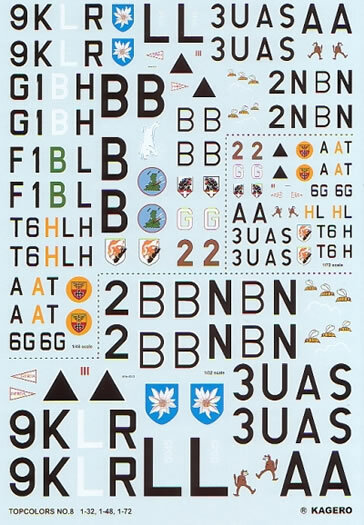 Model companies like Airfix have released new models of the aircraft involved and decal manufacturers world wide are following with similar new product so it will come as no surprise that publishers like Kagero are making an effort to have some new books out on the subject. 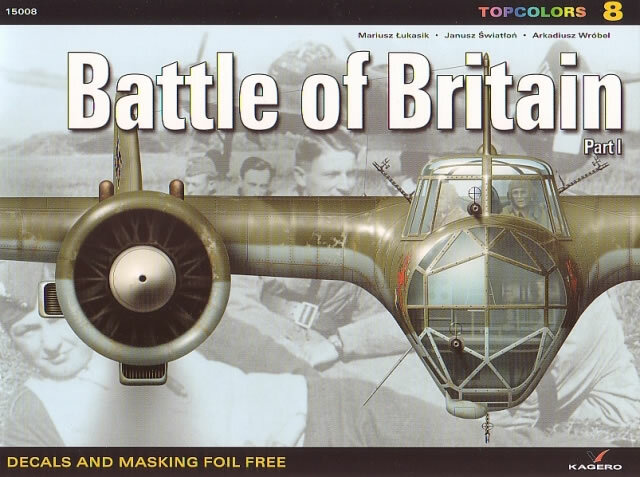 Battle of Britain Part 1 is the first of these and covers only the Luftwaffe side of the battle with the RAF being in Part 2. There are 15 profiles all together, 3 Bf 109E-1s, 2 of which have E-4 canopies, 4 Bf 110Cs, 1 Dornier Do 17Z and a Heinkel He 111 H-1, 2 Ju 87Bs and 4 Ju 88A-1s. Not all 15 are covered in the decals, with 1/48 scale having the most followed by 1/72 and then 1/32 scale. 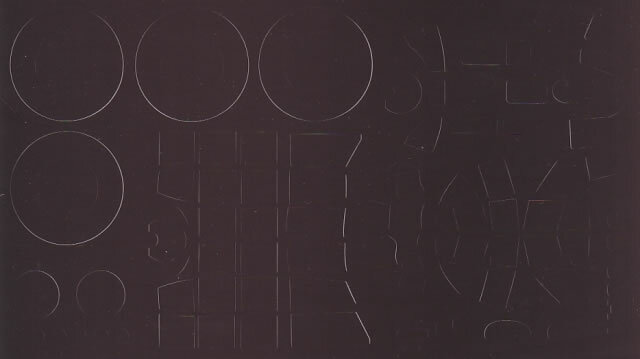 The decals are very well printed with perfect register and minimum carrier film. Kagero's decals used to be done by Techmod from Poland, a manufacturer that I've had some success with, but I note there is no Logo or name on these however, the quality looks as good. 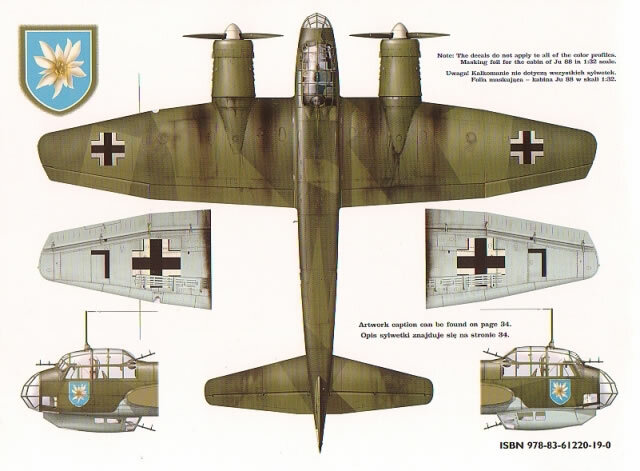 There is also a free sheet of 1/32 scale masks for a Ju 88 that includes both canopy and wheel masks. To say Kagero are prolific is somewhat of an understatement. In fact it can be a bit hard to keep up with all their different series, Topcolours, Topdrawings, 3D etc, but if you confused, go to their web page and all will be revealed.